Due to the nature of wholesale candles and the weight that can be associated with some of the products exact shipping costs are very difficult to calculate through the website. We work hard to get your shipping cost down. (packing multiple items into one box, a substantial discount from Fed Ex). If shipping seems high please contact us, actual shipping may be lower and we can calculate the actual shipping for you. If the shipping is off we will refund any over charge to your credit card. If it under charges we will contact you to let you know and request a credit card number for payment. Any order that is over 800 pounds will be charged a flat shipping charge. This is just an estimate. Once again if your cost is below this number we will refund your credit card. If it is higher we will contact you to let you know. Most orders will ship either same day or next. All orders ship either Fed Ex Ground or LTL Trucking. We are proud to stand 100% behind our products. Your satisfaction is always our top priority and we pride ourselves in our hassle free Return and Exchange Policy. If for any reason you are not completely satisfied with your purchase, we will be happy to facilitate an exchange or a return to ensure your complete satisfaction. Please note that all returns require a Return Merchandise Authorization (RMA) Number, which can be easily obtained either by calling 718-874-9194 or emailing to [email protected] Unauthorized returns are subject to 15% restocking fee and we do not accept returns on customized products. Refunds will only be made to the original payment within 7-10 days of our receipt of the return. You can return purchased items any time or an exchange or full refund (less shipping charges) subject to our Return Conditions. We do not accept returns on customized products. Items that are not defective must be returned in NEW (unopened, unused, untested, and resalable) condition, in the original manufacturer packaging, with all the original contents included. There are usually no restocking fees for the return of items meeting the above mentioned conditions providing they they do not fall under our Return Policy Exceptions. Refunds will only be made to the original payment within 7-10 days of our receipt of the return. For your protection, items must be returned shipping prepaid, insured for the full value and safely wrapped to prevent shipping damage. 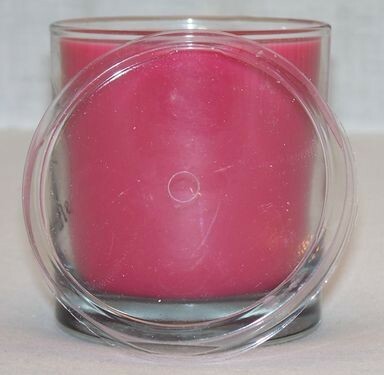 All charges related to the return of items to Bell-A-Roma Candles are the responsibility of the customer unless the item was defective or damaged in transit, you received the wrong item, or where the fee is prohibited by law. We recommend a shipping method that is traceable so that your shipment will not be lost in the mail. We cannot be responsible for defects or damage caused by customer error. Our full liability is limited to the refund of the purchase price of the merchandise. Items must be returned in NEW (unused, untested, and resalable) condition, in the original manufacturer packaging, promotional items included. For your protection, items must be returned shipping prepaid, insured for the full value and safely wrapped to prevent shipping damage. Items that have been used by the customer or items that have been damaged by use cannot be returned to us. We also cannot accept returns on orders where a promotional item has not been returned with the order. For example, if you bought an item that came with free extra product. These ‘extras’ must be included with your return to qualify for a full refund. When repacking an item for return, please be sure to include all the free and promotional items that came with your order as well as all applicable accessories. Generally, as a “rule-of-thumb" you should return the items to us the same way we sent them to you - in the same condition and with all the original contents. If a promotional item is missing, its value will be added to the original price you paid for the order, thus reducing the amount of the refund, if such is issued. Customized or personalized products. This includes color selection of scented soy candles. All claims for credit, shortages, dissatisfaction and/or damages must be placed within 7 days of receipt of merchandise. Shipping charges are non-refundable, except in the event that Bell-A-Roma shipped you the wrong items. Customers receiving free shipping will be charged the exact shipping charge for shipping if their order is returned for a refund of the original purchase price. Customer will be charged an additional SHIPPING fee for any refused or undelivered shipment due to customer's incorrect addressed entered on the order form. Any order that needs to be re-shipped will be charged at the same shipping charges that apply to the original order. What happens if my item arrived damaged or was lost? All shipped items are insured. Inspect your order immediately upon delivery. It is unlikely that anything will be damaged as we pack our orders well. If you detect visible physical damage or missing items, email or call us immediately if damage has been detected. If you receive damaged merchandise or do not receive it at all, the carrier will need to conduct an investigation. Please contact us immediately about the problem within 3 business days of receipt of the merchandise or 3 days after the scheduled delivery date in case of non-receipt. In case of damage DO NOT discard any shipping materials and manufacturer’s packaging. Please re-seal the damaged products using the original packaging materials. You must hold the package for at least 8 business days. If Fed Ex does not contact you to pick-up the damaged merchandise for damage inspection, then they waived the inspection and the merchandise can be discarded. We do charge restocking fee for the unauthorized returns. There is no restocking fee for Authorized returns of unopened, unused, and untested items. Authorized Items are subject to %15 restocking fee. No refund will be issued for the items which are returned back to us without a RMA. This means that an item must be in sellable as new condition. Please keep in mind that restrictions apply (see Return Policy Exceptions for more details). We reserve the right to refuse to issue credit for any item that has been used, misused or damaged. We also reserve the right to charge a restocking fee of up to 15% on returns of opened products.